You do not have to spend too much money to have a beautifully landscaped residential piece of land. Altering the existing design, and adding ornamental feature requires some effort and creativity. With these tips, you can make that outdoor space turn heads at an attainable price point. They are also easy to understand and implement. It is important to install barriers between the lawn and the garden. A strong edging made of any material will work to separate the two. Just include a stone edge and mulch to stun up plain flower beds in a snap. AC units are essential. They can, however, be quite the eyesore for any residential place’s exterior environment. Building a cover for them can be an effective way of keeping them out of sight. Just as the famous saying goes, out of sight, out of mind. Water features can be installed by those without ponds or streams too. All that is required is some small amount of money and some creativity to utilize readily available materials. For instance, an iron teapot and an old barrel can make a stunning fountain. Choose one that has a variety of textures and colors to add pomp to your guest house. The lavender is a durable plant that comes in beautiful tones. For this adventure, you’ll need lavender seed packets that will set you back 10 bucks. Paths can be made using lace stepping stones, stenciled stones, broken bottle path and lettered bricks. Hook up points of interest with a path made from pallet wood. This will also add some appeal to an underutilized corner. Setting some climber to go over a gate will add some ornamental feature to your space. Attach climbing flower vines to a bare brick wall that could use a beautiful feature. 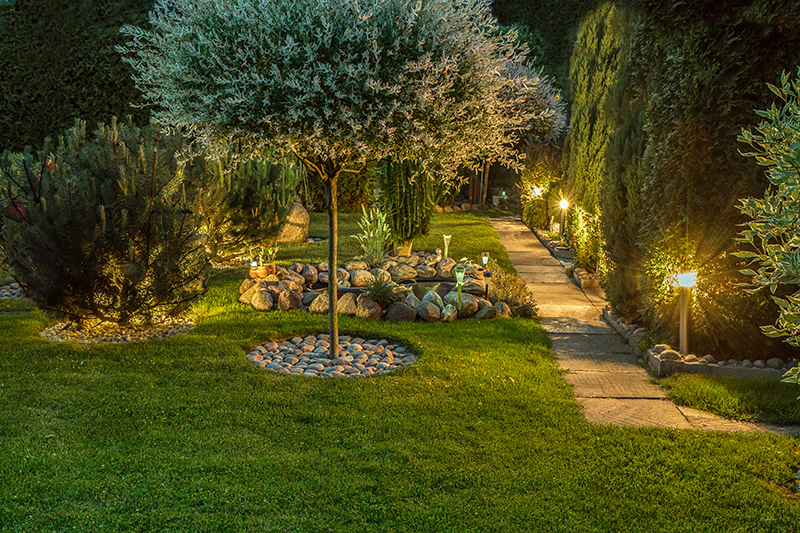 Landscape lighting is aesthetically gratifying while increasing the safety of paths because obstacles are visible even after dark. To give your yards an all year round color, you might want to go for evergreens such as boxwood shrubs at an intensified rate. These can help outline flower beds, generate visually interesting scenes and prevent soil displacement. Clean the walkways to make them look like new. Remember to keep them that way too. A small vegetable garden made using a variety of rocks. A variety of similar-sized rocks of complimentary colors will twist up your space for good. Most importantly, know to what extent you can maintain what you started. It is good to research the pros and cons of any project you wish to undertake. Posted in Landscaping and tagged landscaping tips, residential.